Yorba Linda dentist, Dr. Barragan plans and maps out the best preventive dentistry for each patient in his state of the art dental office located in the heart of Yorba Linda, with the focus on consistent routine dental hygiene practices and daily procedures that prevent tooth decay and other conditions. The best preventative measures are attained through a combination of chair-side examinations and counseling by Dr. Barragan, cleanings with Angie our dental hygienist, x-rays, and home dental care by patients. Dr. Barragan will conduct a thorough oral examination by checking your teeth and gums for signs of tooth decay or gingivitis among other dental health conditions. Generally a dental condition is painless at first. By the time tooth or other pain is present, the condition has set in and unnecessary damage may have been done. It is important to have routine dental checkups every six months so Dr. Barragan can identify any problems before you are experiencing pain. Like regular checkups, a tooth cleaning by a dental hygienist is recommended a minimum of once every six months. Despite even the most vigilant daily brushing and flossing, a dental hygienist removes plaque and stains that routine brushing and flossing cannot get. 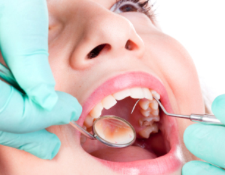 Teeth cleanings by a hygienist can also expose early signs of tooth decay that may otherwise go unseen. Be sure to schedule your next tooth cleaning with Angie at our Yorba Linda dentist office when you come in for your regular checkup. Dr. Barragan’s Yorba Linda dentistry uses digital x-rays. Digital X-rays reduce radiation by up to 75% compared to conventional x-rays, making it safer for our patients. 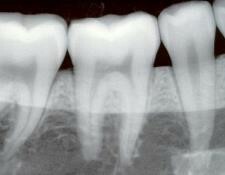 Dental X-rays enable our dentist to identify dental conditions that are otherwise unseen by the naked eye. Some of common dental problems include conditions below the gum line, and cavities between teeth. Come to our Yorba Linda Dentist Office for routine x-rays and enjoy a happy, healthy mouth. 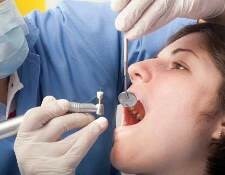 By far the most vital step of routine preventive dentistry is performed at home between visits, cleanings, and x-rays. Dr. Barragan recommends brushing and flossing a minimum of twice daily, or after every meal. Daily brushing and flossing will remove plaque that forms on your teeth. It’s important to remove plaque before it builds up and produces dental tartar. Dental tartar is a sticky, acid-making bacteria which leads to tooth decay and other oral conditions.